The McMurray test, also known as the McMurray circumduction test is used to evaluate individuals for tears in the meniscus of the knee. A tear in the meniscus may cause a pedunculated tag of the meniscus which may become jammed between the joint surfaces. 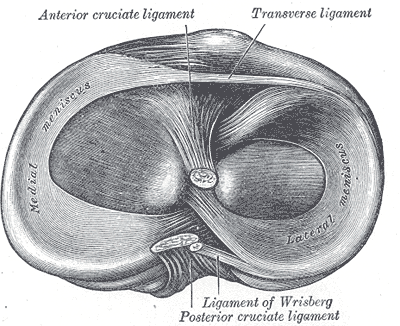 The patient lies in the supine position with the knee completely flexed (the heel to the buttock). The examiner then medially rotates the tibia and extends the knee. If there is a loose fragment of the lateral meniscus, this action causes a snap or click that is often accompanied by pain. By repeatedly changing the amount of flexion and then applying the medial rotation to the tibia followed by extension, the examiner can test the entire posterior aspect of the meniscus from the posterior horn to the middle segment. The anterior half of the meniscus is not as easily tested because the pressure on the meniscus is not as great. To test the medial meniscus, the examiner performs the same procedure with the knee laterally rotated. Kim and colleagues reported that meniscus lesions may be found on the medial side with medial rotation and on the lateral side with lateral rotation. The McMurray test is named after Thomas Porter McMurray, a British orthopedic surgeon from the late nineteenth and early twentieth century who was the first to describe this test.